Here are 10 things not to say if you spot a music critic, scribbling notes, near you in a concert. 1. "Do you have to keep on writing during the music? It's very annoying - please stop." 2. "Oh, I see - you're a critic? Wow! What a privilege to meet you. What do you think of the concert?" 3. "Oh, really? I'm amazed. I thought it was sublime. But what do I know?" 4. "Who's the best pianist around, then?" 5. "But you must know - you're a master, you hear them all!" 6. "Where can I read you?...Oh dear. I never read them. Ha ha." 7. "So, do you play the piano yourself? ....Really? Why not? ...Oh. So how come you get to review a piano recital?" 8. "How do you become a critic? You have to study music for years and years, right?" 9. "Goodness. That is very surprising." 10. "Here's my email address. Please write to me. Please. Please. When you have a moment. Just put down the best pianists to hear, the best orchestras in town...please..."
11. Well, come and hear a symphony by XYZ with me - I'll convince you to like him! My play A Walk through the End of Time is being given at the Riverhouse Barn Arts Centre, Walton-on-Thames, next Friday, 5 June, 8pm. Tickets are just £5 each and the evening will involve a rehearsed reading by actors Caroline Dooley and David Webb. The next evening the Cremona Trio (and friend) will be giving a performance of the complete Messiaen Quartet for the End of Time and they and I will all be there on Friday to take part in a Q&A session after the reading. 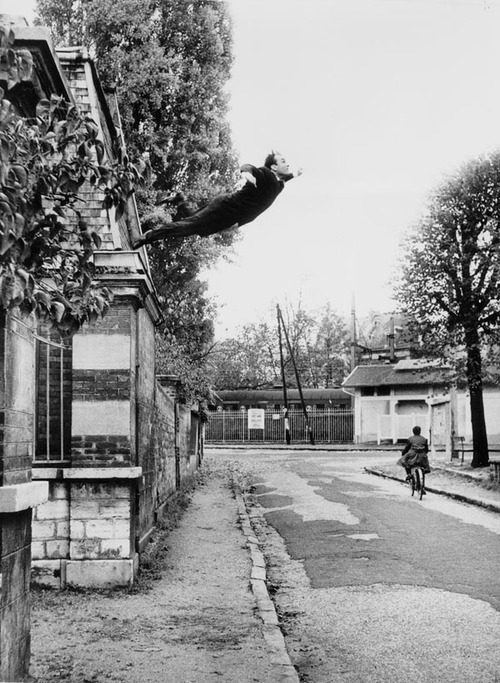 Come along and find out about Messiaen, Stalag VIIIA, the significance of these pictures by Chagall and Yves Klein and why this piece can and does matter so much to us all. It's Korngold's birthday (118) and how better to celebrate than listening to him play his own music? This is the 'Pierrot Tanzlied' from his most popular opera, Die tote Stadt, recorded in 1951 during the composer's optimistic yet short-lived attempt to return to Vienna after more than a decade of exile in Hollywood. He makes the piano sound like a couple of full orchestras. Enjoy. I was kind of underwhelmed by Barenboim's approach to Schubert yesterday, sorry to say. But his bespoke piano sounds terrific. Some very welcome news yesterday from the Proms, which has appointed a new director at long last. And it's not a BBC insider with an axe. It's David Pickard of Glyndebourne - a charismatic, well-liked, forward-thinking, online-aware guy who seems, to many of us, an inspired choice. I've expounded a few thoughts on the task ahead of him in today's Independent. Here is the Director's Cut, a slightly longer version. 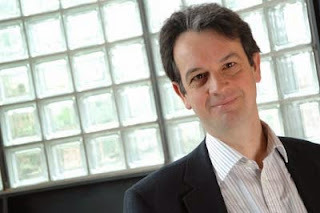 The BBC Proms has named its new director at last: David Pickard, who is currently general director of Glyndebourne. The appointment process has been lengthy – it is 14 months since Roger Wright resigned from the job – but one hopes that the organisation has taken its time in order to find just the right person. Pickard’s appointment has surprised many in the music world; it was widely expected that a BBC insider would be chosen, possibly one ready to wield an axe. Instead, this decision appears to signal a willingness to be open to the new, the forward-looking and the creative. Pickard has brought all these qualities to Glyndebourne; and that opera house’s continuing success despite the crash years suggests that he is no stranger to helping an institution weather a blast. Wright’s shoes at the Proms won’t be easy to fill. His determination to think big reaped dividends, bringing to fruition ambitious projects such as a tie-in with the 2012 Olympics and, the following year, a complete Wagner Ring cycle for the composer’s bicentenary year, conducted by Daniel Barenboim and featuring some of the world’s finest Wagnerians singers – each opera accessible to promenaders for a mere £5. Pickard is bound to face thorny challenges. The BBC licence fee is due for a rethink next year; any changes to the funding model can scarcely help but affect the Proms. At Glyndebourne Pickard has presided over an institution that receives public funding only for education work and touring – the opera festival relies entirely on private money. He will now need to apply the diplomatic skills he has honed during 14 years dealing with sponsors, donors and patrons to fighting the Proms’ corner in the boardrooms of the BBC. The Proms’ position as “the world’s greatest classical music festival” – as it trumpets itself – will demand maintenance in the programming department and requires a fine balance between the new and risky and the tried and tested. Expectations land on the festival’s shoulders from every direction – some call for more premieres, others for more Mozart; some may demand more BBC tie-ins, while others regard the occasional foray into pop or musicals (each happening about once a season) as the End of the World As We Know It. Pickard must steer a slalom course through all of this. Then there’s the brave new world online. Almost every year the Proms announces further digital initiatives – this year’s innovation is a Proms App – and Pickard must make sure that they keep pace with the ever-more digitally aware younger audience. 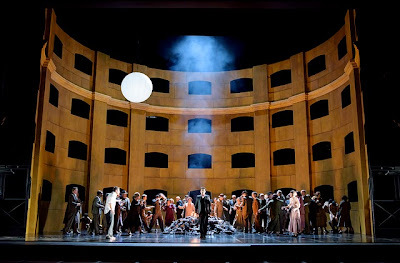 Under his direction Glyndebourne was the first UK opera house to stream performances live online for free and to send its productions to cinemas for HD relay. All of this is surely a must for the Proms to consider in the years ahead. But above all Pickard needs to embrace the scale of vision for the Proms that Wright established. This means not only continuing the mission of bringing world-class classical music to the widest possible audiences. It also means doing so with a flair that can make the finest events an experience to remember for a lifetime. Meanwhile, there's a very nice job up for grabs in East Sussex. Arts administrators fond of opera, picnics and sheep should form an orderly queue. 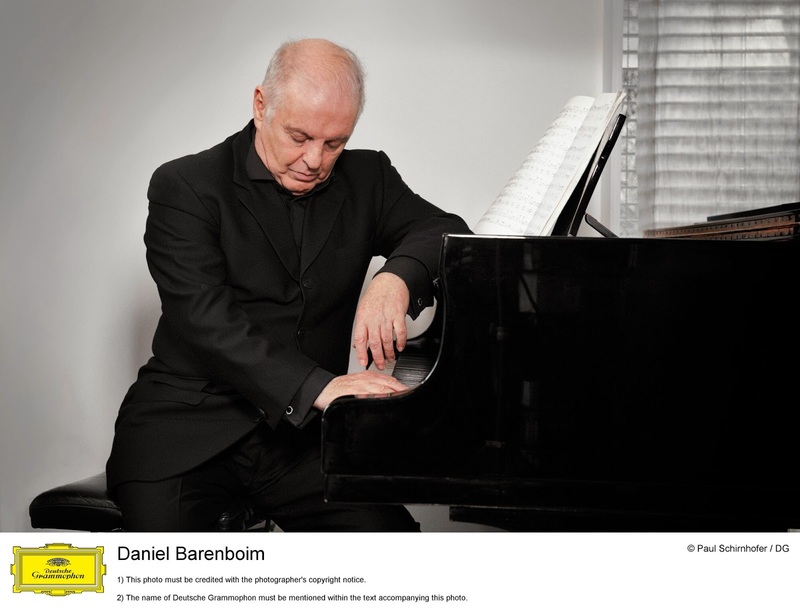 Astonishing news this morning that Daniel Barenboim will be playing his Royal Festival Hall Schubert series on a brand-new piano that he conceived and commissioned himself. 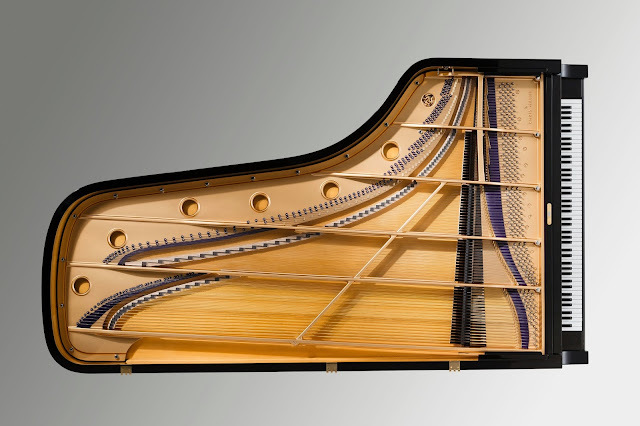 It was unveiled today at the hall and is called the Barenboim-Maene Concert Grand, developed and built by piano maker Chris Maene of Belgium, with support from Steinway & Sons. I'm going to three of the four concerts and can't wait to hear how it sounds. The other day at Classical:NEXT I had a go on a fortepiano - one recently built - and was amazed at the lightness of the touch and the ease with which it produces a beautiful, singing tone. How come pianos have kept on being made larger, heavier and more unwieldy, playing ever-louder with sensitivity suffering the while? Gergely Boganyi in Budapest unveiled a new piano a few months ago - one with a reasonably space-age design; the fashion for Fazioli (which sometimes convinces me and sometimes doesn't) has been gathering pace; and now it could be that Barenboim's initiative is going to point the way forward to something of a revolution in how we play and listen to the instrument. "The new Barenboim-Maene piano combines the touch, stability, and power of a modern piano with the transparent sound quality and distinguishable colour registers of more historic instruments. While on the outside it does not differ significantly in looks from a modern concert grand, most of its components – including the braces, soundboard, cast-iron frame, bass strings, keyboard and action – have been specially-designed and tailor made, and the positioning of others, such as the hammers and strings, is radically different. "Barenboim was inspired to create a new piano after playing Franz Liszt’s restored grand piano during a trip to Siena in September 2011. Struck by the vital differences in sound of an instrument constructed with straight, parallel strings rather than the diagonal crossed ones of a contemporary instrument, he set out to create a brand new instrument that combines the best of the old and the new and offers a real alternative for pianists and music-lovers in the 21stcentury." Past and present members of the Academy of St Martin-in-the-Fields, and friends, are to give a fundraising concert for the people of earthquake-blighted Nepal on Wednesday evening, 28 May, under the baton of the ASMF's legendary conductor, Sir Neville Marriner - who is 91. Soloists are Nicholas Daniel (oboe) and Kenneth Sillito (violin), and John Suchet will speak. Tickets are priced £9-£35. The performers and organisers are giving their services free and all proceeds go to the Disasters Emergency Committee Nepal Appeal. Concert organiser and former ASMF violinist Enrico Alvares tells us that just a few tickets are now left now, so book soon! : "I may have organised this thing," he says, "but in truth it genuinely belongs to all those playing and listening on the night. It's our concert. Our effort to help thousands of people we don't know and will never meet. Join us." Incidentally, for those of us who grew up listening to those irreplaceable recordings by the ASMF and Marriner this is a unique chance to go down memory lane. Please note that the venue is St James Piccadilly, not St Martin-in-the-Fields! 7:30pm, Thursday 28 May. St James's Church, Piccadilly, W1J 9LL. Great, great news from Classical:NEXT! Southbank Centre's year-long festival of 20th-century music and culture, The Rest is Noise, has won the Innovation Award, together with the Lucerne Festival's Ark Nova, a mobile, inflatable concert hall that toured Japan's earthquake-blighted regions in 2013. More good news is that the first runner-up is the Morley College course for young women conductors. Cheers, all! Wish I was still there to help celebrate! Around 2000 participants from the three previous Classical:NEXT trade fairs voted for two winners from a list of 21 projects all around the world. 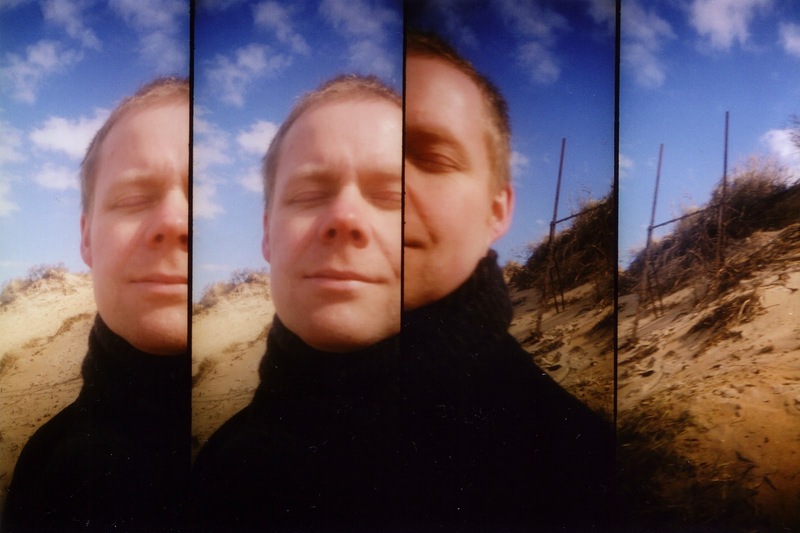 It's a list of remarkable scope and continual inspiration, from a street orchestra in Brazil to Alistair Campell - no, not that Alistair Campbell, but the co-director of the Tectonics Festival in Glasgow. You can see a collection of video interviews by Klassik.tv at Classical:NEXT here - including one with me, doing my bit for gender politics. Chances are that if you're a regular here at JDCMB you already know all about The Rest is Noise festival, so here is a video introduction to Ark Nova. The pianist James Rhodes has won the right to publish his traumatic memoirs after a lengthy legal battle in which an injunction to prevent its release was raised by his ex-wife in the court of appeal. He was at Classical:NEXT in Rotterdam the other day and gave this interview to The Guardian while there. There's another significance for this besides freedom of speech. In a music world that has been riven by revelations of historic sexual abuse of schoolchildren and college pupils, for which several people have gone to jail in recent years, this memoir has not come a moment too soon. All too often victims of abuse in childhood are not believed when they speak up as adults, or are put through torments in court of the type that allegedly led to the death by overdose of the violinist Frances Andrade in 2013. Rhodes is a powerful communicator and eloquent with both words and music. He is the person who has now been brave enough to tell us all the truth, to show us what the realities of this living hell are - for nobody can imagine it for themselves if they have not experienced such a thing - and thus offers us a chance to understand what happens, what the long-term effects are and therefore why it is so important that we don't keep on turning a blind eye or blaming the victims for somehow, supposedly, bringing these horrors on themselves. We owe it to him and to other people who have been through such experiences to treat them at the very least with compassion. The German word for compassion, 'Mitleid' (see Parsifal), explains this better than anything else: literally meaning "with sorrow" - i.e., sorrowing together. And as Parsifal shows us, the presence of this quality in other human beings is an essential ingredient in the start of a healing process of sorts that cannot take place without it. As for freedom of speech, this is a major victory - and hopefully will set a precedent for other situations in which people speak up, tell the truth yet are silenced by a society that just doesn't want to know and tries to find official ways to make sure it needn't. As the court ruled: "The right to report the truth is justification in itself." English PEN, Index on Censorship and Article 19 all intervened at the Supreme Court, pointing out that the implications were the book to be suppressed would have "a chilling effect on the production and publication of serious works of public interest and concern". Chetham's upper sixth-form pianist Yuanfan Yang yesterday won first prize in the senior division at the Cleveland International Piano Competition for young performers (12-18). Yuanfan is a former winner of the BBC Young Musician of the Year piano section and is a fine composer as well as a brilliant performer. Congratulations! As part of his prize, Yuanfan wins a debut recital at the Frick Collection in New York. The concert will take place on 13 August. In today's Guardian, Polly Toynbee - who is chair of the Brighton Festival - has strong words for those in politics who would like to slash back the arts and the nation's children's education in them to starvation levels. You can't be good at anything, she suggests - including politics - if you have a one-dimensional brain. Please read. Yesterday along popped a press release from Sistema Scotland, with lots of facts and figures and quotes about Big Noise in Raploch. You can read the Glasgow Centre for Population Health's findings here. I was going to add some commentary, but I think these quotes speak for themselves. The wonder of dance is that it makes the human body capable of expressing extreme emotion through movement alone. And what a treat it is to see Alessandra Ferri portraying the anguish of the suicidal Virginia Woolf simply by walking across the Covent Garden stage. The Italian ballerina, who left the Royal Ballet for ABT in her twenties, is now 52 and back from what looks to have been a premature retirement. Artistry oozes from her every centimetre; delicate, vulnerable, dignified and technically flawless too, she is a privilege to watch. Why should it be assumed that dancers will retire in their forties? Why should they, and we, miss out on the fruits of mature artistry? Woolf Works really does work. Wayne McGregor's choreography in the past has often been virtuosic, intellectual, trendy, or all three at once, yet it's in poetic vision - expressed in whatever medium - that the best creators live on. McGregor has in the past offered flashes of that poetry in moments like Raven Girl's final pas de deux. But here, at least in the first and third sections, the physical poetry of emotion is there in force. It's as if he has found his true voice lying beneath all the bedazzlement and is now letting it sing. Edward Watson in 'I Now, I Then' (based on Mrs Dalloway) as the shell-shocked World War I soldier Septimus accompanied in Max Richter's score by a keening solo cello à la Elgar, matches Ferri and her younger self (Beatrix Stix-Brunnell) in the evocation of that poetry and is a special highlight. Natalia Osipova and Steven McRae (right) navigate the central section, 'Becomings', with the expected magnificence, Osipova's legs reaching what looks like a 240-degree extension. This episode - based, but less tangibly so, on Orlando - perhaps overstays its welcome; half an hour is a long time for any composer to sustain variations on 'La Folia', especially this loud, and while the idea was always that one dance idea begins while another is still in full flow, it can at times be hard to know where to look - whatever you focus on, you always feel you're missing something else. This episode is constant movement, a collage of ideas flashing and whirling by in a continual state of evolution, stunningly lit with lasers through dry ice (though the gold crinkly crinolines are a bit garish). Finally, in 'Tuesday', Woolf's suicide note and her death blends with the stream-of-consciousness flow of The Waves, unfurling against filmed sea breakers in slow motion; a tender duet takes place as she pays heart-rending homage to her husband, before walking into the water-embodying corps de ballet, is partnered by them, becomes one of them. Richter's score is studded with moments of impressive imagination; its surround-sound electronic effects, the use of chamber music moments, voices - notably Virginia Woolf's own at the outset - plus the sounds of nature or of a much amplified scratching pen add constant new dimensions to the minimalist-derived style. Tchaikovsky it ain't, but it serves this multimedia dance theatre experience strongly and is an organic part of the whole. If you love Woolf Works as much as I did, by the way, and you want a different kind of souvenir, I can highly recommend Caroline Zoob's gorgeous book about Woolf's garden at Monk's House. We see filmed glimpses of this garden in 'I Now, I Then', but the book is so beautifully done that it's the next best thing to visiting the place. In this strange world of ours, too, it is also possible to download an e-book of Woolf's complete novels for all of £1.19. Woolf Works continues to 26 May. Book here. There's a live streaming tonight of Karol Szymanowski's opera Król Roger (King Roger) from the Royal Opera House. Highly recommended. A gift of an excuse to do this opera has appeared - namely the Polish baritone Mariusz Kwiecień, of big, oak-dark tone and native ability with the language - and in Tony Pappano's hands the score doesn't only seduce, but blisters and burns. I went in last week (reviewing for The JC) expecting honey and rosewater, but found neat chilli vodka instead. You can see the streaming on the brand-new Opera Europa platform - 15 of Europe's leading opera houses clubbing together to stream productions free to all - or on the ROH's own Youtube channel. It will be available on demand for 6 months afterwards. Kasper Holten's production is, first, clever, and second, clear. The score and the action - inspired by Euripides, but written by the composer's cousin and travelling companion, the poet Jarosław Iwaszkiewicz - are sensual and heady for a good reason; the composer's inner conflicts, as a gay Catholic in the early 20th century, are given full rein to express themselves, as is the musical lure of the exotic near east and north Africa, where matters at the time were less repressive. Holten takes us inside the King's head, and I don't mean that Islington pub. 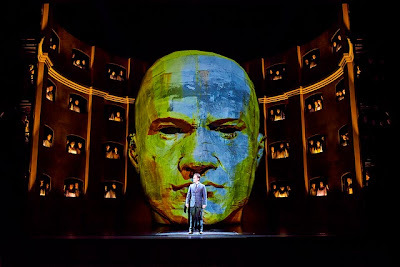 The first act finds the stage dominated by a giant head. 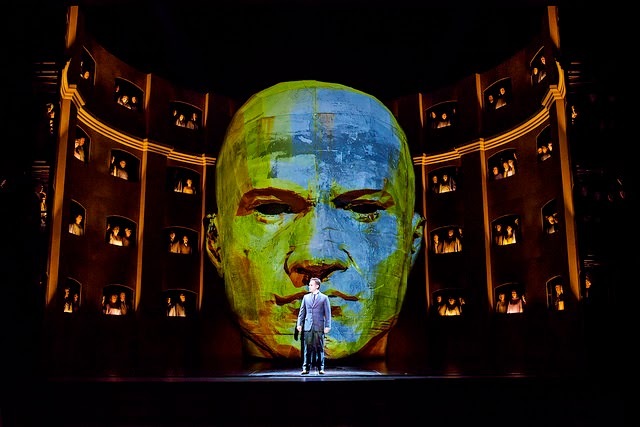 In act two, the face turns to the back and we see its inner workings: three levels, connected by iron staircases. The superego at the top, somewhat underpopulated; the ego, strewn with piles of old books; the id, beneath, a mass of seething, writhing dancers, hemmed in, struggling to get out. In act III the question arises: what happens when they do? And who are they? And who, then, is the Shepherd? 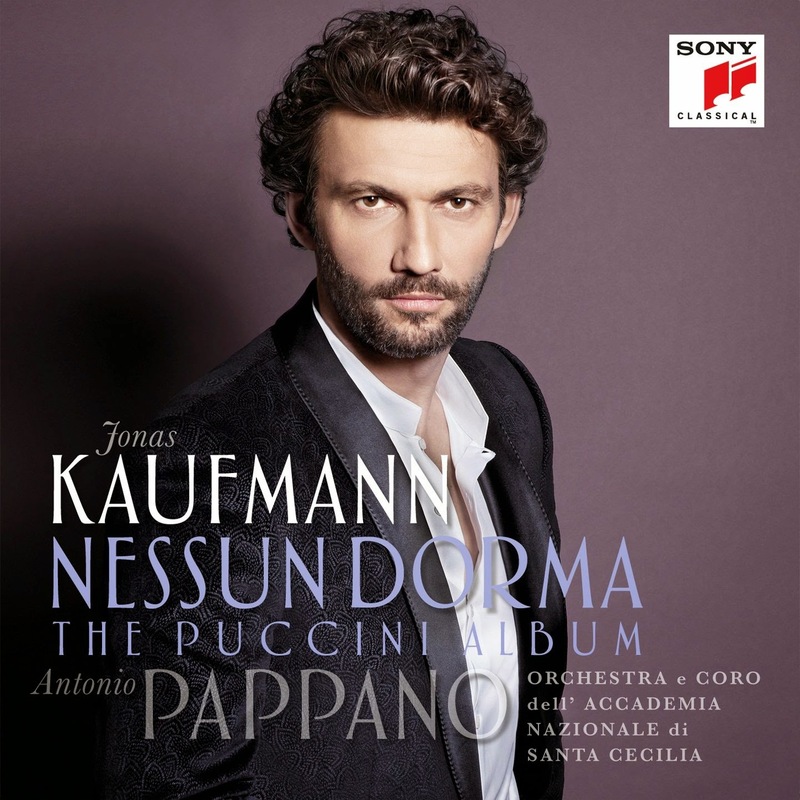 Szymanowski's shepherd - sung here by the Albanian tenor Saimir Pirgu, with a range of expression that carries him from rose velvet in the centre to knife-edge iron at the top when the drama demands - is (like Korngold's Stranger from Heliane, oddly enough premiered a year later) a newcomer in a repressed, traditional world. He arrives preaching love and hedonism; the Queen is enchanted by him; the King is filled with conflict, his adviser Edrisi warning him to be cautious and the church powers encouraging the stamping out of this unorthodox approach to life. Roger tries to condemn the stranger to death; Queen Roxana begs him not to. But Roger is as mesmerised by this beautiful, tempting man as everyone else is. Szymanowski's music proves to us that the attraction is sexual; and in the drama, Roger's relationship with Roxana is clearly in trouble. But Holten remembers that Roger is a king and that his populace are all too keen to follow the newcomer instead. So who is this charismatic political upstart in his raw silk coat? A smouldering bonfire in the centre of the stage at the start of act III soon leaves us in little doubt as the populace bring out books to burn. This opera was premiered in 1926, and the costumes here are in the style of that time or shortly after. Sometimes subverting an opera's intrinsic story is a mistake, on those occasions when you feel the solution is imposed on questions that were never there in the first place. But this is different. This is one of those lightbulb moments that you didn't necessarily see coming up, but that makes complete sense - and makes the production as vital an experience as the opera is in the first place. I haven't written anything about the general election here because I simply don't know what to say other than "well, I didn't vote for them...". (Our local MP is a popular, independent-minded Tory, Zac Goldsmith, a vocal opponent to Heathrow expansion. Nobody else stood a chance round here.) I like the idea of the "northern powerhouse" and especially of faster trains thereto. But I dread the deepening of the already insane inequalities in our society; I dread what will happen to the poorest and most disadvantaged people in the country; and I fear an EU referendum that may leave us an isolated, powerless island on fantasy-fangled ideological grounds, even though the country's business leaders think we would be stark raving bonkers to take such a course. And I don't like to think what will happen to the arts. Last time round, a number of small companies and organisation either went under or had to find radical ways to reinvent themselves. This time, I think that may well start happening to bigger ones. And the BBC is going to face a huge upheaval next year when the licence fee arrangement is due for renewal or revision. What's this got to do with King Roger (apart from another King Roger having abdicated from the Proms while the going was good)? This: it shows us what we don't have - specifically, a charismatic leader whose personal magnetism and honeyed promises can lead huge swathes of the population to follow him into dangerous paths. And if we don't have this, says the production, perhaps it's just as well. It's possible that one, of sorts, may emerge in due course - and it may not be who you think - but maybe we should count our blessings that no Szymanowskian shepherd of any one of those many political hues has yet walked through the gates of Westminster. The soprano Danielle de Niese and her husband, Gus Christie of Glyndebourne, are expecting a baby at the end of this month. The irrepressible Danni had to pull out of The Merry Widow at the Met - "can-can dancing and acrobatic lifts when your waters might break..." didn't seem a good idea, and she couldn't have flown home again. But she's planning to be back on stage for the Ravel double bill at Glyndebourne in August, all being well - and she wouldn't give up the Last Night of the Proms "unless I was dead". Recently, en route to a charity gala with her tell-tale bump disguised beneath the drapes of a Vivienne Westwood gown, she changed trains at Clapham Junction. A hand on her arm, an "Excuse me, but…" – and there on the station platform, she declares, was Dame Vivienne Westwood herself: "She spotted her dress first and then said – 'Oh, it's you!'.." My interview with her is in today's Independent. HAPPY BIG BIRTHDAY, TASMIN LITTLE! A violinist whose musicianship can make you feel glad to be alive. I can think of few whose performances have over 30 years consistently sent me home feeling that things are OK after all: faith renewed, spirit rejuvenated and joy enhanced. I'll never forget the day we went busking, either. My editor at the Independent asked us to have a go at the Josh Bell trick; Tasmin happened to be in town and was game for it; and we set up under the railway bridge at Waterloo. Every child who walked by wanted to stop and listen to her. We watched with jawbones dislocating as their parents dragged them away from the music - in one case, a little girl of about 4, literally kicking and screaming. The day, according to Tasmin, changed her life: she invented her Naked Violin project and began touring schools, shopping centres, prisons, oil rigs and community centres as well as slightly more conventional venues. Since then her always sterling musicianship has reached even higher levels of compassion, poetry and imaginative range. Here she is in a favourite filmed moment from a few years back. Here are three amazing historical performances for us to enjoy on this glorious spring morning. In London the sun is blazing down, the leaves are bright and fresh, the cats are chasing each other and everything that moves, and we are trying not to let certain other things get us down. Ballade Op.19 - Gaby Casadesus (piano), with the Orchestre Lamoureux conducted by Manuel Rosenthal. Recorded in Paris 1948. Anyway, hope you love all these as much as I do. Bon anniversaire, mon cher Archange. OK, it is admittedly pure coincidence, but we now have this to look forward to. 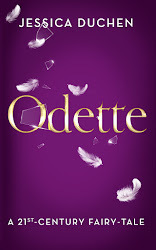 Due out in the autumn. 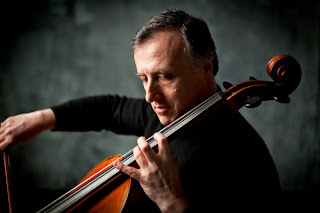 My new Editor's Lunch interview with Raphael Wallfisch is out at The Amati Magazine now. We went Italian - with a difference...no less than Theo Randall at the Intercontinental. And we talked red meat both culinary and musical. The piece also includes Raphael's brand-new short documentary about Gerald Finzi, which we hope you will enjoy and share. It's high time Finzi went viral! JD: Lewis, what first gave you the idea to write a play about Shostakovich's visit to Oxford? LO: I published the documents surrounding the event ten years ago, but the idea of turning it into a play has always been festering away in my mind. Firstly, because there is a wealth of material with which a dramatist can engage: not only do we have Isaiah Berlin's long and expressive letter on the visit but also many of the telegrams and letters sent and received by the Oxford Registry and Soviet Embassy in London. I felt that all of the personalities involved could be explored, developed further and essentially brought back to life. I was also struck by the idea of an honorary doctorate itself (having struggled through my own non-honorary one!). How were they decided and by whom? I was aware that Tchaikovsky had been awarded one by Cambridge in 1893 (along with Saint-Saens, Bruch, Grieg and Arrito Boito – this is also forthcoming project of mine!) so I was intrigued to explore the machinations behind Shostakovich's award and visit to Oxford. I did ask Cambridge to award Shostakovich one posthumously in 2006, to celebrate the centenary of his birth, but unfortunately they declined (they do not award posthumous honorary degrees). Credit to Oxford, therefore, for recognising his talent and importance, particularly during the Cold War period, and credit more so to Shostakovich, perhaps, for actually coming! JD: You've used a lot of original documents - can you tell us something about the process of turning them into actual drama? LO:This has been one of the most difficult aspects for me, especially as my background is more of an orthodox 'academic'. It has also been a difficult balancing act between allowing the letters to speak for themselves but also having an audience in mind who wish to be challenged yet entertained. Naturally I have had to develop written text into spoken dialogue on many occasions, which has not always proved easy. I am also very aware that some of those involved in the event are still alive, and therefore capturing their authentic voice and mannerisms was always something very much in my mind. I have sought advice on this from senior Oxford academics who knew personally figures like Berlin, Trevor-Roper and others as well as current family members, all of whom have been extremely helpful. I can't promise to have captured everything perfectly - this is a creative snapshot rather than a documentary - but I have tried to show sensitivity to those involved as much as possible. Shostakovich in academic gown. Photo credit: Oksana Dvornichenko (photograph taken by Oleg Tsesarsky). With grateful thanks also to Bryan Rowell and Alan Mercer from the DSCH Journal. JD: You're looking very much at the clash of two contrasting worlds, each with its own structures and strictures - Oxford academia and Soviet Russia. Compare and contrast, please? LO: I have attempted to make that clash quite evident, particularly in Act 1. The telegrams and correspondence show that the Oxford Registry became increasingly frustrated with a lack of response from the Soviet Embassy and needed to send the official ceremonial documents three times before they felt confident that Shostakovich was coming. I have tried to capture this most obviously in the figure of David Hawke (played by Patrick Farrimond) who read Oriental Studies at Lincoln College before entering the Registry, where he remained for the rest of his career. In the play he is very secure in the academic environment of Oxford but, when confronted with the suspicious and rather unhelpful nature of the Soviet Embassy, loses his poise and composure, regained only when he returns back to the safety of Oxford. This theme of people being taken 'out of their comfort zone' is something I have tried to encapsulate. This is no more evident than in the figure of Shostakovich, of course, when he arrives in Oxford and attends the ceremony and also a soiree arranged in his honour. I think he actually enjoyed parts of the visit, though, and was keen to take the gown and robes back to Moscow with him as a memento (much to the consternation of his bodyguards, who saw it very much as a 'bourgeois' honour). There are some photos of him back in Moscow after the event, fully robed in the ceremonial attire! [see photos attached]. JD: How did Shostakovich get along with Sir Isaiah Berlin? And with Poulenc? LO: He clearly had a strong respect for Isaiah Berlin, who was his host for the visit. Berlin of course spoke fluent Russian and was very sympathetic to the plight of artists under communist rule (1958 was also the time of the 'Zhivago affair' surrounding the role Berlin played in bringing Pasternak's manuscript out of Russia). Shostakovich stayed with Isaiah and Aline Berlin at Headington House during the visit and later wrote to Berlin (see letter below) asking for his assistance with the staging of his opera Katerina Ismailova at Covent Garden. There was clearly mutual respect. I think there was also mutual respect with Poulenc, himself a recipient of an Honorary Doctorate and they certainly enjoyed each other's company. 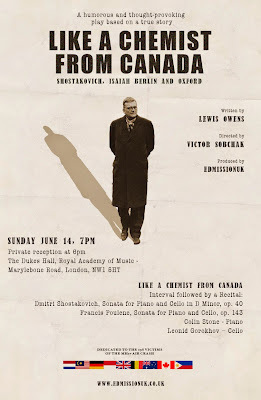 From talking to those present at the soiree, though, Poulenc seemed a little in awe of Shostakovich and certainly in Berlin's account of the event there was no doubt in his mind who was the more musically impressive. JD: What part does music play in all of this? LO: A large part. The play begins and ends with music. I decided quite early on that I did not want Shostakovich to have a spoken part in the play. Rather, his 'voice' would be represented by the piano. Therefore, there are snippets of his Prelude and Fugue in D Minor at particular points, which also serve to indicate passages of time. I have also staged a small part of the soiree (it was not practical to stage all the music) so we have songs of Poulenc and Shostakovich (sung by Clare McCaldin, playing the role of Margaret Ritchie) as well as more substantial parts of the Shostakovich D Minor Prelude and Fugue (played by Colin Stone). The music is integral to the play but it is by no means a musical. The music contained within is very subtle and, although very important and symbolic, should not be a distract from the dialogue or overall story. JD: Do you think it's going to change the way we see Shostakovich - his personality and his music as well? And what else might we learn from it? LO: SO much (too much?) has been written about apparent sub-texts' in Shostakovich's music. There is a reference to this in the play but it is certainly not my intention to contribute to this debate. Rather, I think it shows more about his personality: his nervousness and anxiety, which seemed only temporarily relieved whilst he was himself playing at the soiree. He clearly lived solely for his music and it is evident that it was quite simply an extension of his personality, in the way it was for so many of the other great composers. I have also tried to pose some contemporary questions: how much has really changed, both academically and politically, since 1958 and how does it make us evaluate current events surrounding Russia? I don't prescribe any answers but I do hope several poignant questions are raised. I was glad to receive your letter. I hope that your operation went well, and that you are well. I always recall my stay in Oxford with great joy. I remember your hospitality and your kindness with gratitude. The score and the piano score of my opera ‘Katerina Izmailova’(this was how I changed the title of ‘Lady MacBeth of Mtsensk’) will be available soon. I was a little late with the completion of my new version. At present I have finished it completely and in 10-20 days the score and the piano score will be printed in multiple copies. Covent Garden’s administration should request the score and as many piano scores as needed, all these will be dispatched immediately. To send a request please write to: Moscow, K 9, ulitsa Nezhdanovoi, Bureau of the Propaganda of the Soviet Music of the Musical Fund of the USSR. If it is not difficult for you, please pass this information on to Covent Garden. And while my letter is on its way to you, and whilst Covent Garden’s letter arrives in the Bureau of propaganda, the score and the pianos scores will be ready.Please pass my greetings on to your wife. The Royal Opera House must be hoping that ballet audiences are not afraid of Virginia Woolf. On 11 May the curtain rises on the choreographer Wayne McGregor’s first full-length narrative work for the Royal Ballet: Woolf Works, an enormously ambitious creation inspired by three of the novelist’s books, plus the tragic story of her own life and self-inflicted death. 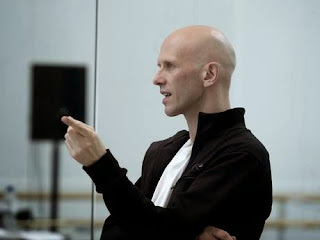 McGregor, 45, the resident choreographer of the Royal Ballet since 2006, came to the company from the contemporary dance sphere and has always pushed at the limits of the possible. He stretches everything, from his dancers’ physical capacities in pieces such as Infra and Chroma to the potential of creative collaborations, notably Raven Girl with the author Audrey Niffeneger; last year he challenged the audience’s powers of perception in the detailed and symbol-laden Tetractys – The Art of Fugue. Now in Woolf Works, he is giving the process of storytelling itself a conceptual makeover. McGregor has commissioned for it a new score from the British composer Max Richter – the current Mr Cool of the classical contemporary world. The pair had already collaborated on Infra, among other projects, and more recently McGregor has choreographed for Zurich Ballet Richter’s major hit, Recomposed by Max Richter: The Four Seasons. The Orlando section’s central figure is to be Edward Watson, McGregor’s muse – prime among a cast of Royal Ballet luminaries that also includes Natalia Osipova and Sarah Lamb. But all eyes are upon the Italian ballerina Alessandra Ferri, 52, who is returning to the company to dance the dual role of Virginia Woolf and Mrs Dalloway. Ferri began her career with the Royal Ballet after training at its school, but left in 1985 to join American Ballet Theatre at Mikhail Baryshnikov’s invitation. Although she officially retired in 2007, she began to appear again as both dancer and choreographer two years ago. McGregor says that he went to New York to ask her to consider the role. As the UK wakes up to the unexpected election result of an actual, if small, Tory majority, another majority of sorts - those of the artistically inclined people in my social media feeds - are pondering ways to leave the country. Front-runner destinations include Germany, Sweden and Iceland. Time to have a quick look at the power of myth and the lessons we can learn from it. The wound foisted on us by a betrayal is an almost incomparably strong force embedded in the depths of human nature. So the people we feel betrayed us before are paying the price. It's all in the myths. Try this (with apologies to Petipa/Ivanov and Tchaikovsky). Once upon a time, there was a handsome politician who was standing for parliament. He went out campaigning by the lake and met a swan who unexpectedly transformed into a beautiful girl. He fell in love with her at once and she loved him too. He promised her everything: true love, compassion, empathy, heath care, arts funding. She promised to vote for him and love him forever if he'd break the spell that kept her doomed to daily metamorphosis into something she was not. He fell on one knee and vowed. But the next night, at the election ball, there arrived a seductive, spellbinding beauty: a rich and privileged princess with amazing technique. 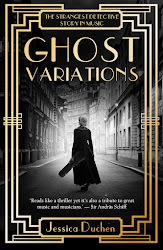 She could pull off all the fancy tricks - the balances, the leaps, the mind-control, the 32 fouettés - and she promised him, besides her body if he wanted it, a huge quantity of private money for his campaign, and for himself beyond that. All was lost. He forgot his promise, or perhaps - taken in by the princess's resemblance to his swan girl - believed that he was indeed renewing it. The moment he vowed allegiance to the newcomer, the weeping swan girl was revealed, wringing her wings in despair out in the cold beyond the window. When the prince realised his mistake, too late, he ran away to the lake to find his beloved and throw himself at her feet with an abject and public apology, to be printed in all the papers. But it was too late. His betrayal was absolute. You promised to save me. You promised to love me forever. You betrayed me. We are both doomed. The swan girl threw herself into the lake and drowned. He leapt in after her and drowned too. There could be no coming back after such a betrayal. The imposter princess with all the money was left in charge. At the Royal Ballet she is still a "first soloist" and those of us who've been loving her performances can't help feeling she should be a principal here too by now. She is a sophisticated dance actress and an intelligent and intuitive performer, as well as being phenomenally determined, and this is an opportunity she deserves in every way. With the German company she will dance Manon, La Bayadère and her first Princess Aurora in The Sleeping Beauty. Initially, Hamilton will appear as a guest artist with the Semperoper Ballett dancing the title role in Sir Kenneth Macmillan’s Manon for the company’s upcoming premiere of the production in November 2015. Do come along and say hi if you're there. Meanwhile, I've done a little report on last night's RPS fun over at The Amati Magazine, here. And rather than staying over in Birmingham, I'm heading home tonight & going back tomorrow evening - so that tomorrow morning I can get down the polling station and place my vote. Never forget: people died so that you could have the right to vote. SO DO IT. The news of Maya Plisetskaya's death marks the end of an era for ballet. The great Bolshoi ballerina, who was 89, set extraordinary standards for all around her; not only through her technique, physique, acting and star quality, but also in terms of the way her artistry galvanised all who saw her and helped to revolutionise the repertoire, leaving a legacy that spreads far and wide across the dance world. Here is an obituary that fills in the background and extraordinary life story of the Soviet-era star who was once considered such a defection risk that the KGB even bugged her bed. I met Plisetskaya and her husband, the composer Rodion Shchedrin, several times, notably at Philippe Graffin's Festival Consonances de Saint-Nazaire between 2006 and 2009. Plisetskaya spoke little English, unfortunately; on these occasions, Shchedrin seemed the public face and spokesman of the pair, while the ballerina - though so forceful on stage - seemed gentle, shy, enchanting, moving somehow in a world of her own. Once when they came to London I met Shchedrin for an interview and asked him to tell us the story of how his Carmen Suite came to be written. Here's his answer (accent untweaked). "Then Maya asked Khachaturian and he said 'Why you need me? You have a composer at home, ask him!' 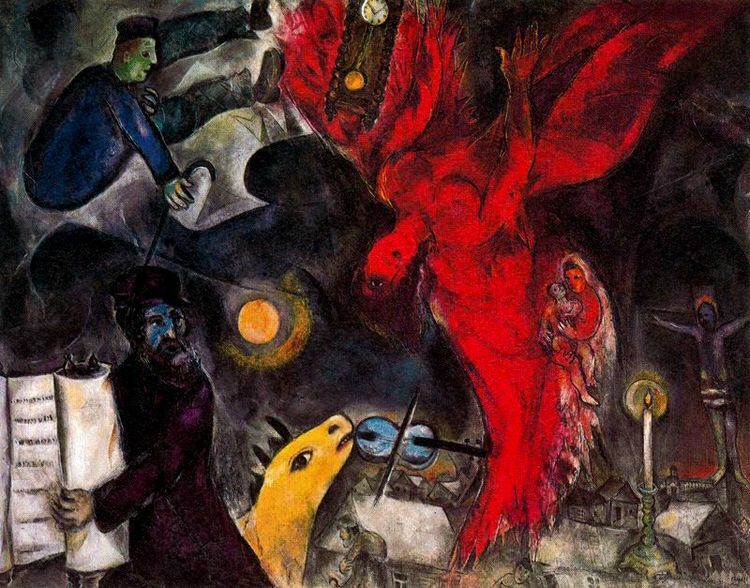 And then she push me, and I remember the words of Shostakovich – he is a wise man, a wise man – and so I had to combine something: from one side it had to be something fresh, from the other side it had to be some connection with this famous melodies. And was idea, I think a lucky idea, only to have strings and percussion, because then it is a totally modern combination. The score by Bizet is fantastic, one of the best in the whole history of music. I took not only from Carmen but from L’arlesienne and his other work combined, but I had a good idea to combine strings with percussion. "It also was some motivation because at that time strings in Bolshoi theatre orchestra was unbelievable, because it was 1967 and it was forbidden to emigrate from Soviet Union and the best string players were in Bolshoi Theatre and Leningrad Philharmonic with Mravinsky. Later around 1972-73 begin Jewish immigration from Russia to Israel, the best one because then they immediately go to America and in each orchestra the best playing in the strings are some fantastic Russian players. And also was excellent group of percussionists in Bolshoi theatre at the time. This was also some kind of motivation but in the second place – first was of course I dared to be totally far from this Bizet score without brass, woodwind, just percussion and strings, I did an orchestration that gave me many possibilities. The reaction of Shostakovich that without these melodies there would be disappointment, and some idea of the orchestration, a new point of view, and quality of the orchestra at Bolshoi at that moment in that year, altogether this gave me the inspiration to do this. "My old publishers - it has been 15 years I have been with Schott, but before Schott, like all Russian composers, we all belonged to Sikorski - and they tell me that Carmen Suite is played every day somewhere in the world." What better tribute, then, than Carmen itself?